Get fit this winter. Improve your scores. Tighten up your groups. Don't miss that trophy buck. Don't fool yourself, strength does matter! 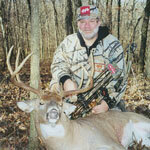 Attracting wild game to your hunting spot. 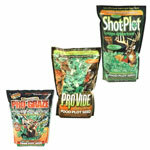 Enhance your hunting property now with these attractant products. Get the animals use to visiting your stand location. We put together a list of the stuff we use and recommend all the time. Most of these are things that top our own lists year round. 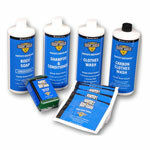 Bug dope is a must have on a bear hunt, lots of it will not keep blackflies off you, we know what will. Bowhunting is a growing sport. Find everything you need in one place. Special equipment needed for a safe and successful hunt out west. If you're just starting out, on a budget, this is what it takes to get in the woods. 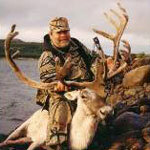 Equipment for a safe and successful hunt in Alaska or Canada. Intimate Apparel, Loungewear, and Swimwear from Wilderness Dreams. 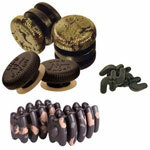 Great gifts for Men and Women! Want to move your hunting success up a notch? Get smart and get your clothes and body scent free. 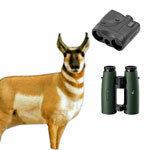 Find tons of useful items you will need for deer hunting. 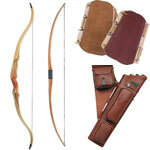 I have 40 long bows and recurves in my personal collection dating back to the early 50s. 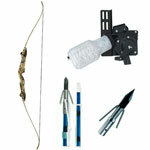 I shoot a compound bow too. 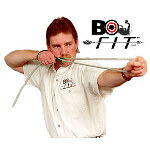 If you haven't tried a "stick" bow, join the 1000's who have found the fun of shooting this type of archery equipment. 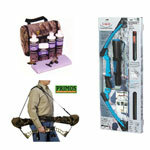 Go after coyotes and other predators now with these great hunting products. 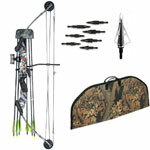 Make your hunting bow as silent as possible. Check out these products that make this happen. Make your stand all it can be for long sits and successful shots. Tune Your Bow & Arrows Now, Before Season! Get ready for the next bow hunt. Change your string and cables, repair your arrows. Tools and supplies to do the job right. 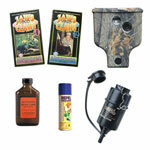 Box Calls are ideal for any begginer in Turkey Hunting. 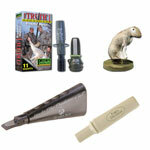 The Box Call lets you easily replicate many different Turkey sounds. Diaphragm Calls are for more advanced Turkey Callers. The Diaphragm Call allows the caller to carry many Diaphragms easily without taking up much room. A "no brainer" way to perfect calling. These push button calls really work! You'll find camo clothes, hats, face-masks and vests in this showcase. Always carry more than one type of locator. Try the gobble shaker. It really works! All the other gear you need for turkey hunting. Learn from the masters. Check out these fine videos with great hunts and great how to's.